Trigger finger. Runner’s knee. Tennis elbow. It seems like for every injury, there’s an overly simplistic term to describe it. 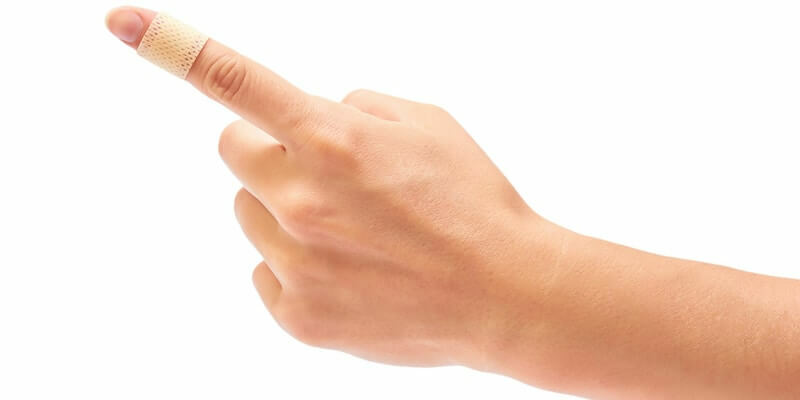 In this blog, we’re discussing the meaning of “trigger finger”, how it happens, and what you can do to make it better. First, we’ll start with an explanation. The medical term for trigger finger, also sometimes called trigger thumb, is stenosing tenosynovitis. Each of our fingers have tendons that go from the base of each finger to the fingertips. They allow us to move and bend our fingers any time we want to grab, hold, or point at something. Each tendon is covered by a protective sheath. If this sheath is injured, it’ll become inflamed. When this happens, a person won’t be able to fully extend the injured finger. This is called trigger finger. The most common methods for treating trigger finger is to ice the area and immobilizing it with a splint. Your doctor may also recommend over-the-counter medication. If the symptoms don’t subside after a few weeks, the person may want to try cortisone injections. If after all of these treatments, your finger gets better, your orthopedic doctor may recommend physical therapy. Surgery is always a last resort. There are three types of surgery available for patients with trigger finger, and they all require only local anesthesia. The patient is also likely to be able to return home that same day. Being able to move your fingers without any pain is essential to do your daily activities. At The Orthopedic Clinic, we want you to live your life in full motion.